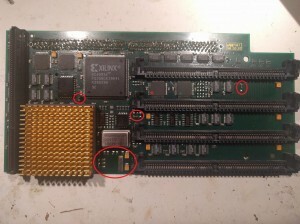 This is how to upgrade a Cyberstorm 68040 Accelerator for the Amiga 3000/4000 to 68060. 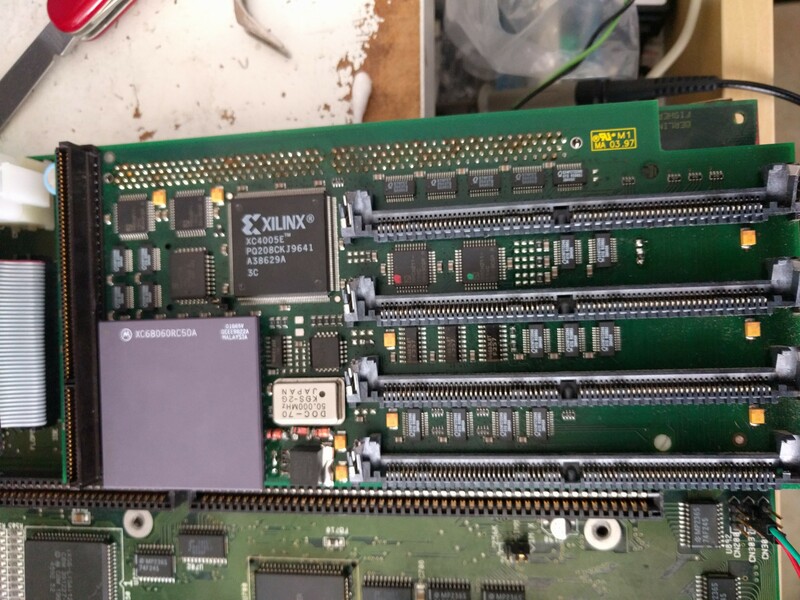 I got a A4000 motherboard and Cyberstorm MK2 040 sent to me from my friend Klementino from Croatia to be repaired and maybe do something with the Cyberstorm, so why not max it out? I have marked the areas with red circles. OK when this is done, we take the next one. between the “middle” simmsockets close to the osciallator. You will also need to change the oscillator. 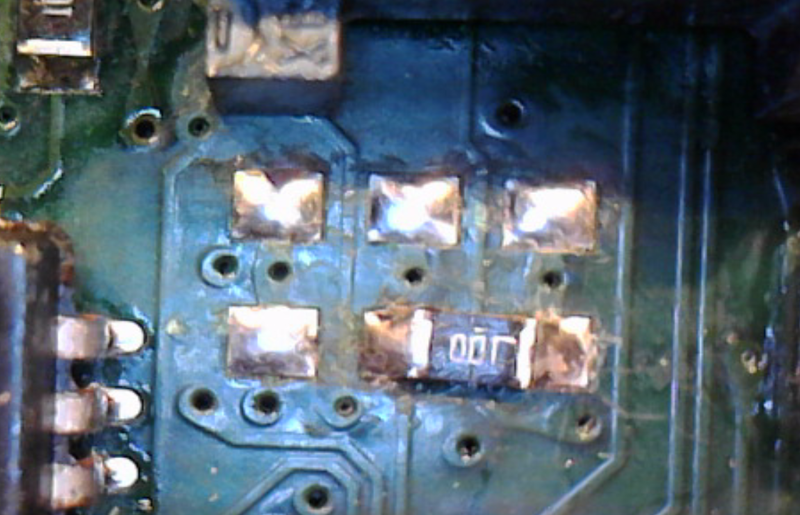 On this board it was soldered in, some seems to have sockets. I decided to put in all 6 holes. so I can support both type of oscillators. That was the easy part. 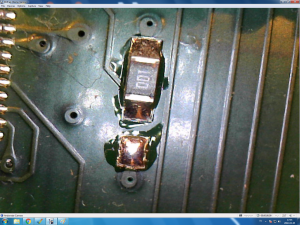 now we have to change the voltage to the CPU. This is EXTREMLY important. 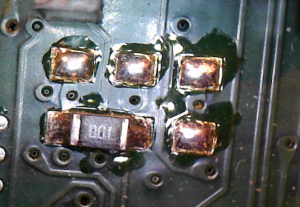 failure if this WILL fry your cpu. 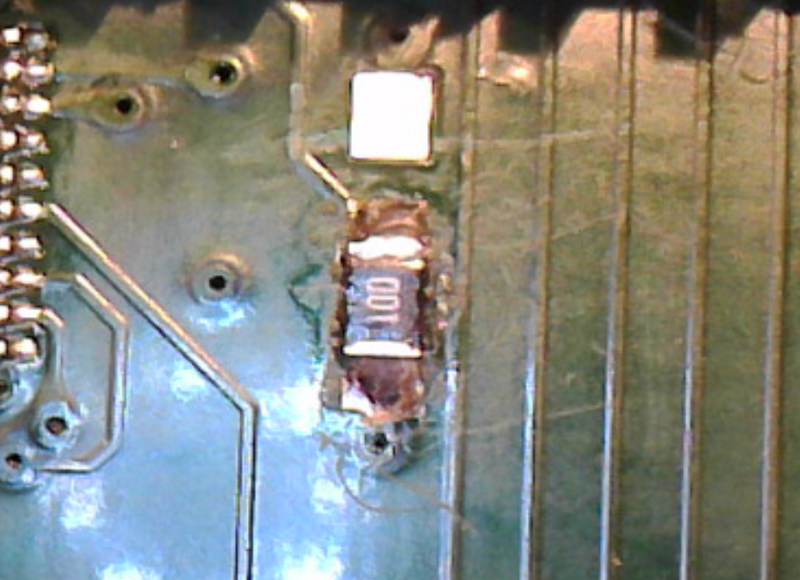 This is too big to fit, so first bend pins so you can solder it. 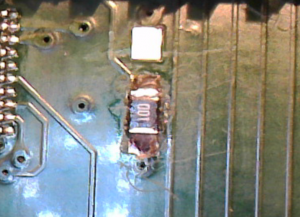 and cut the pins. but the part with the hole needs to be cut in half or it will simply not fit. 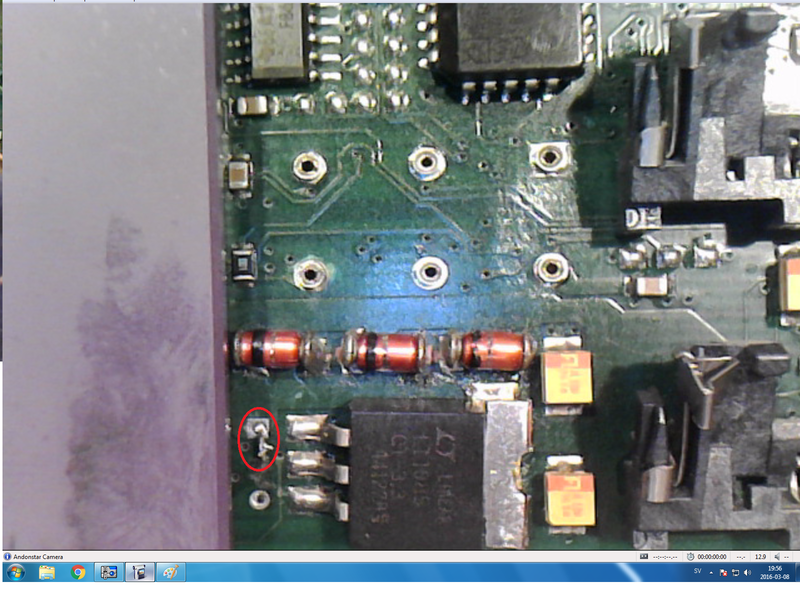 So here we see a small “wire” jumper that must be moved to the opposite location. 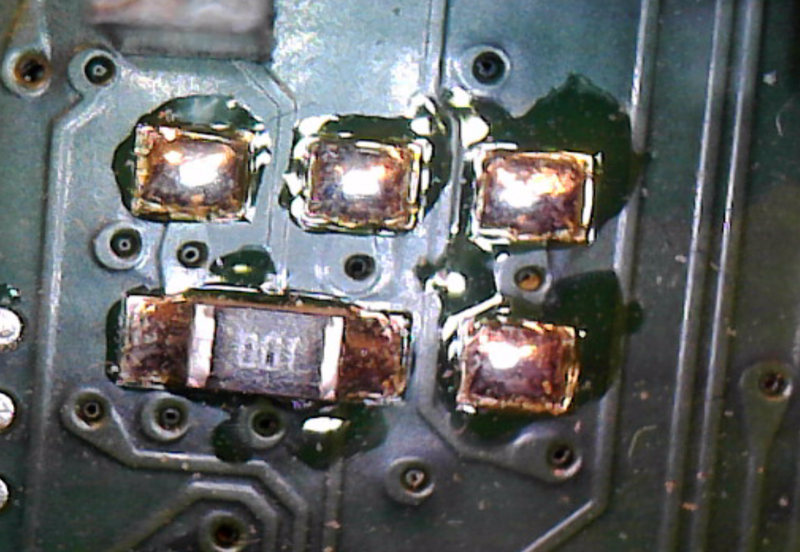 Then solder in the voltregulator and diodes. The diodes I had was slightly too large.. so not that nice here, but works fine. Also notice the red little ring. 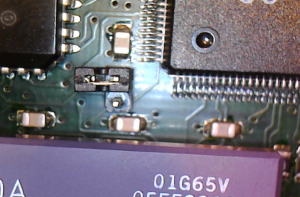 you NEED to change that wire-jumper to that position, or you will send +5V into the CPU. and it WILL fry your CPU. 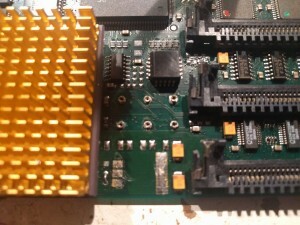 You can also use a freescale version, no problem. 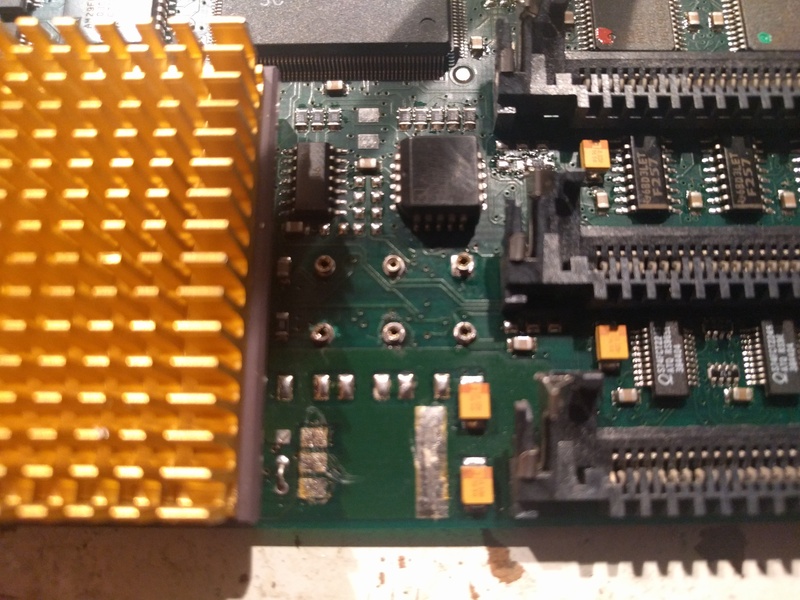 Put in a oscillator of your needs (remember overclocking above 66MHz WILL make the SCSI Controller fail if you have one. 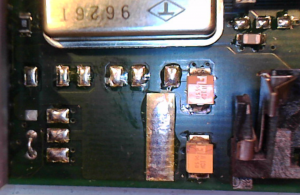 and faster clock needs faster memory) test at 50MHz first, clock later. 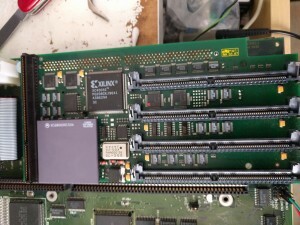 Have fun with your 68060. Thank You so much! It’s been fun watching Your magic done. Now time to get some fun using it! Greetings from Croatia Amiga Community! 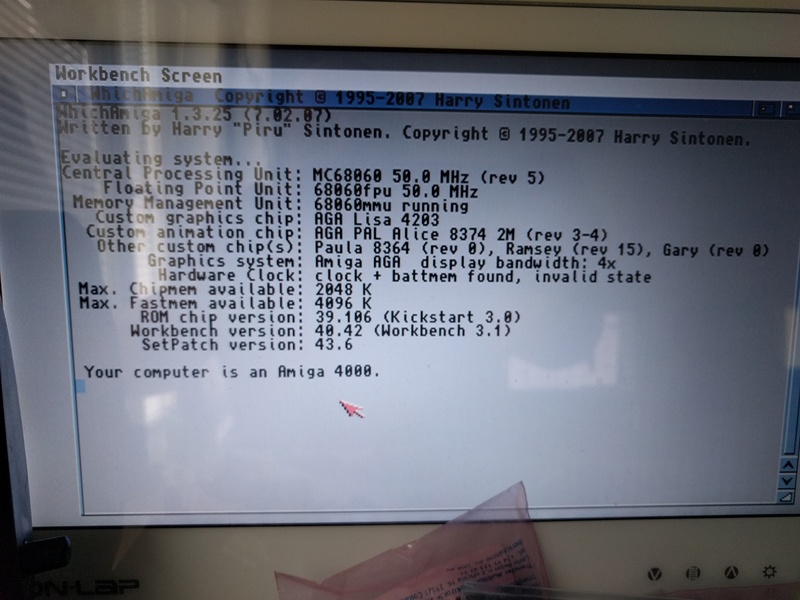 I have Cyberstorm MK 2 060 SN B400769 with me that disables X-Surf 100 to be seen in Early Startup Menu (with A3630 X-Surf 100 is seen). By serial this card should not be affected, but I wonder that was that rework Phase5 planned for those? 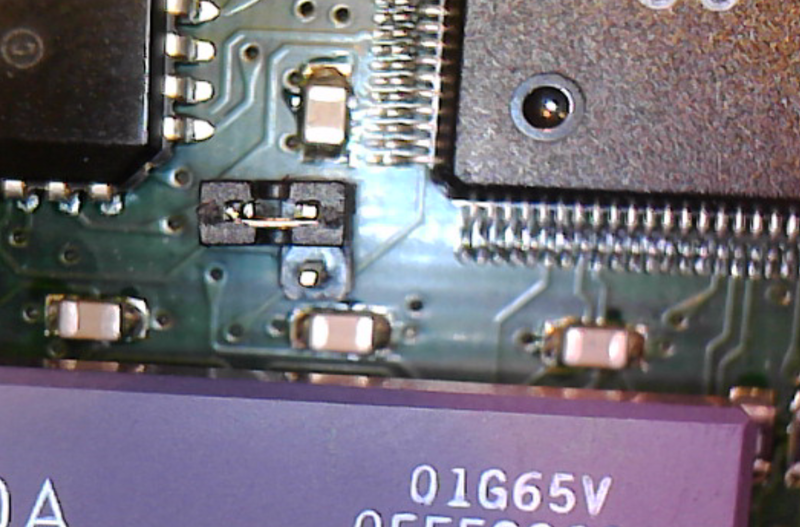 I have some Ebay high resolution pictures of SN SN B002901 that should require that rework, but I see no physical signs of rework done in it, unless there was rework in the components that are near SIMM sockets and not seen in pictures because of SIMM modules. I do not know what kind of reworks was done. something tells me a CLPD or so needed to be reprogrammed. 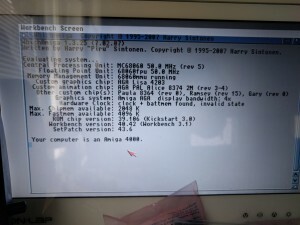 Do you have a Buster 11 in your machine? also try Z2 modde if it changes things. Yes I have Buster 11 in all A4000s used. Z2 jumper did not help. With this CS2 060 in any A4000 motherboard and any of zorro expansions/daughterboards Early Startup Menu is empty of any content no CS2, no X-Surf and no Cybervision 64. But when I change CSPPC 060 to same motherboard. All 3 are visible in Early Startup Menu. Clearly something wrong with this CS2 and gear or idea how to reprogram CLPDs for it, however I thought about firmware (AM29F010 corruption) but that would cause more fatal effects I assume. 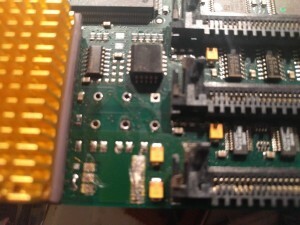 The whole card is inspected with a microscope and clearly nothing visible is causing this. 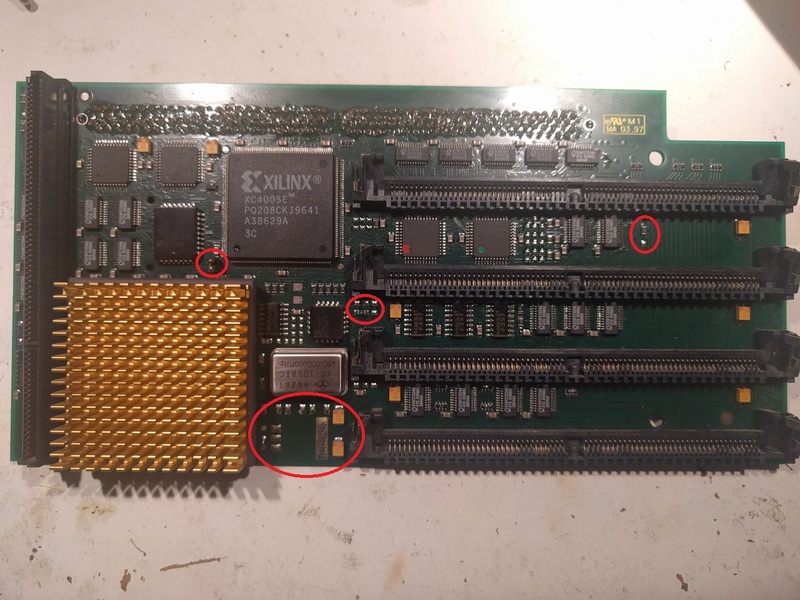 The card itself seems to work and all the memory in it too, but it somehow blocks its own identity from Early Startup Menu and everything zorro card that is connected with it. 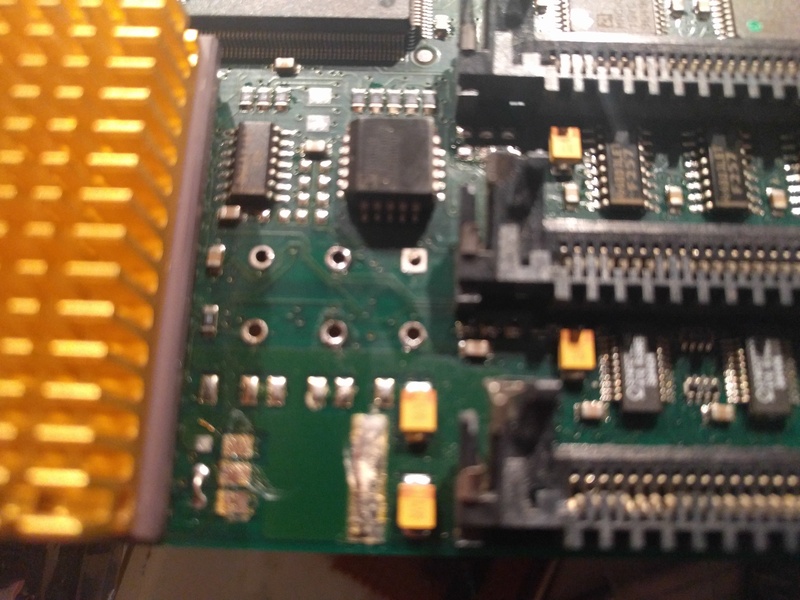 I have been advised to, before doing all the switching of components, apply the latest FLASH firmware to my MKII, else it will not boot after upgrade. Is this correct? 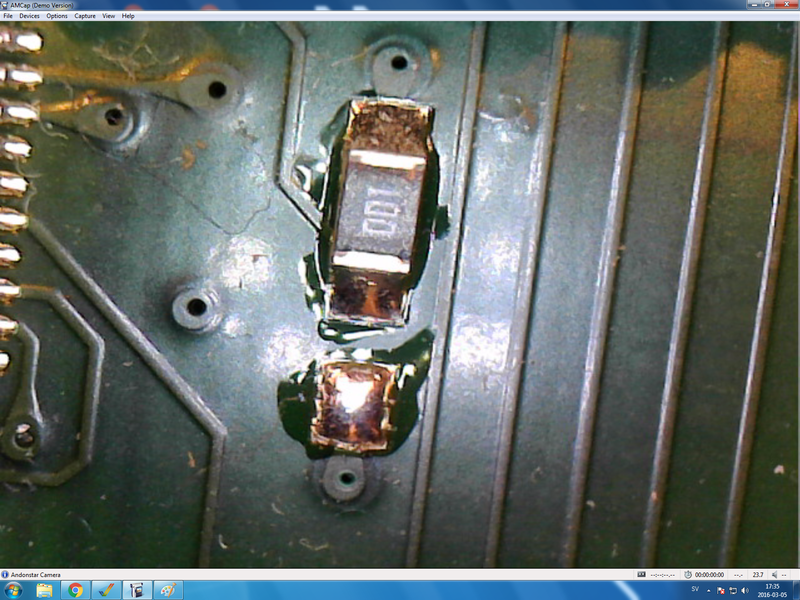 I do not own the SCSI module, and the flash recommended to me is in an archive on A1K that starts with SCSIxxxx.lha. Well so far I haven’t needed to flash the rom. 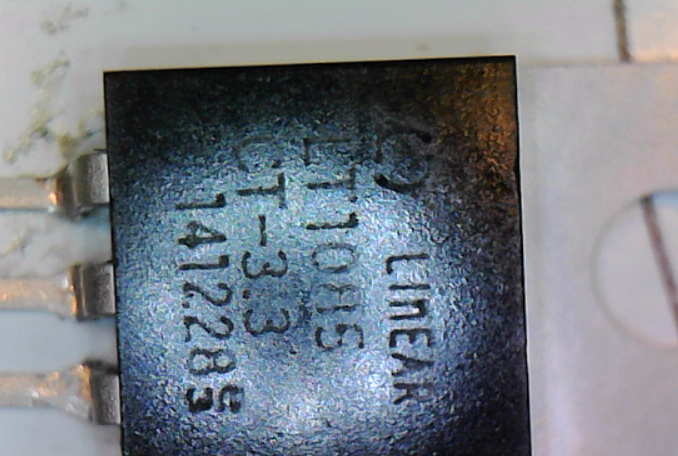 but sure as it seems to have same code for both 040 and 060.